Wouldn’t it be great if you could turn the memories that always make you smile into a piece of art? 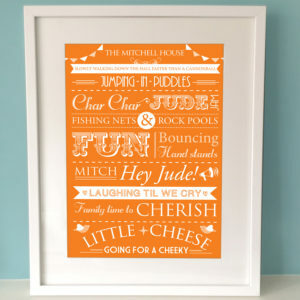 Well, you can – just tell us what you want your personalised family print to say and we’ll make it happen. 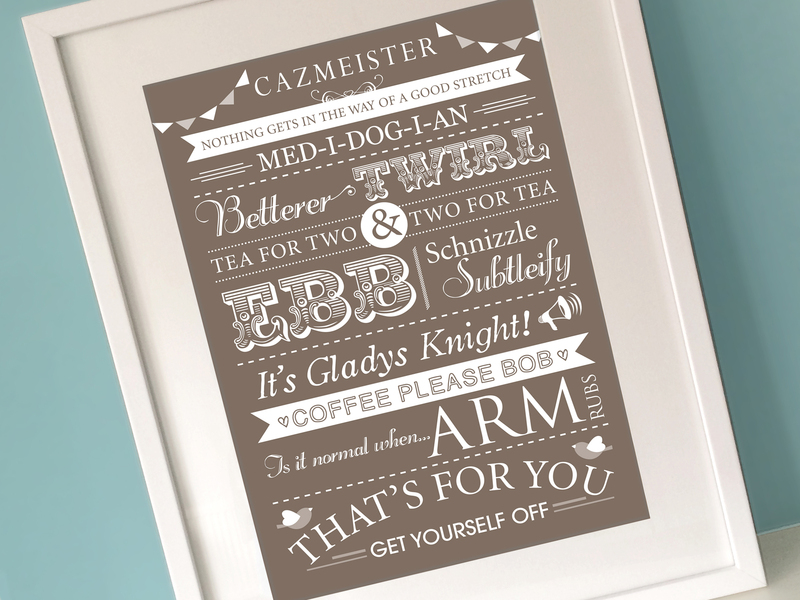 Whether it’s a date, a name or a personal joke, we’ll work it into a typographical poster you can put on your wall. 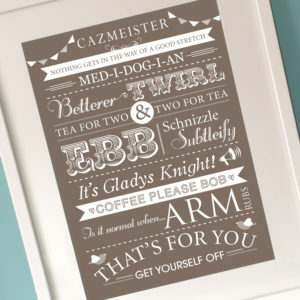 Take a look at the ones we’ve done already for inspiration – and if you can, try to keep your words and phrases to a similar length. 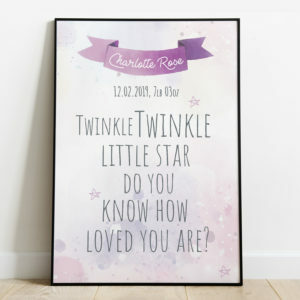 As well as your memories, you’ll also need a title for your print. This could be an iteration of your family name, like ‘The Bentleys’ or ‘The Bentley House’ – but we’re happy to make it unique to you, if you have something else in mind. Please let us know if you’d like an alternative size. 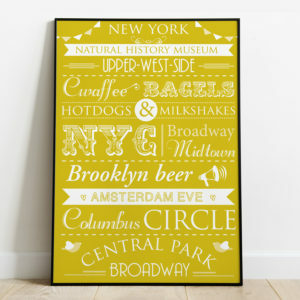 Also note that the price is for the poster only, the frame is not included. 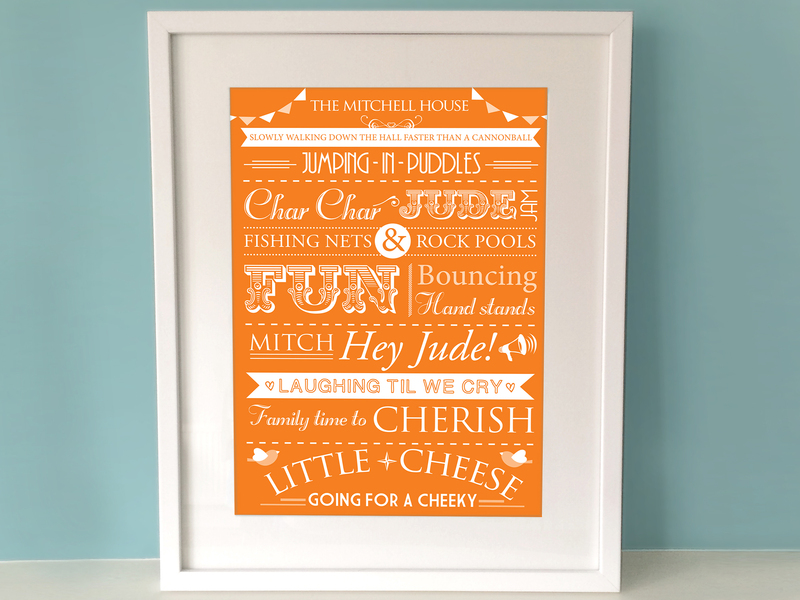 You can have your Personalised Family Print in any colour, just let us know when you order. Once it’s ready, we’ll send you a PDF to approve, before it’s professionally printed and dispatched to you. 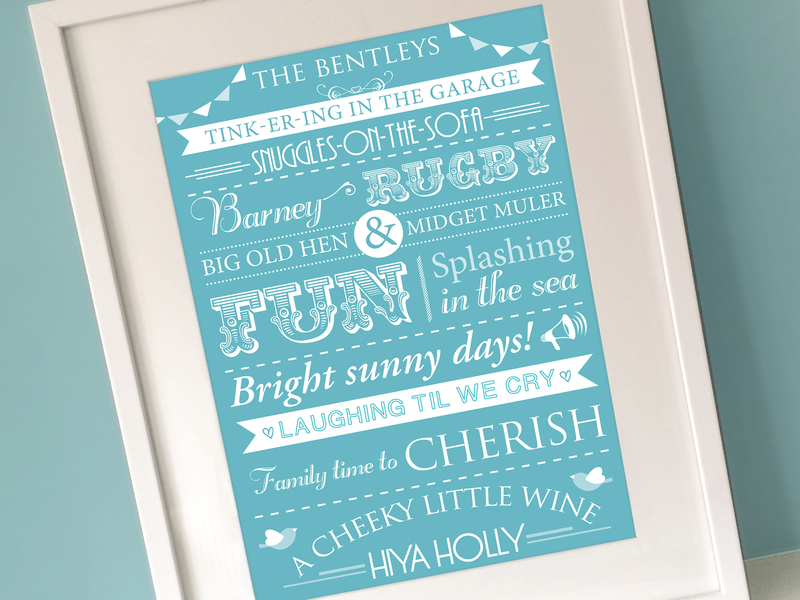 As well as personalised prints, you can also get the design in postcards or greetings cards. Just send us a message and we can arrange an individual package, just for you.